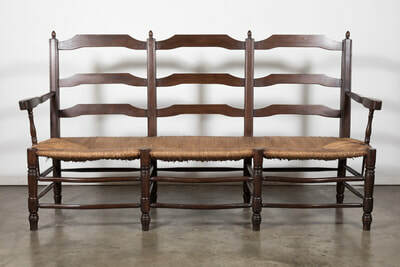 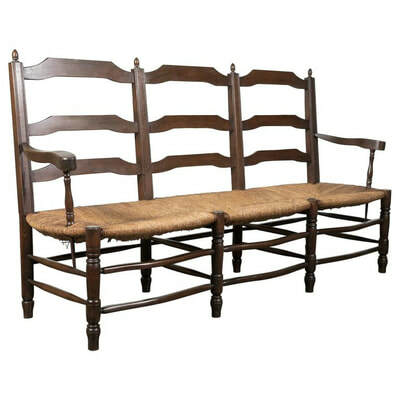 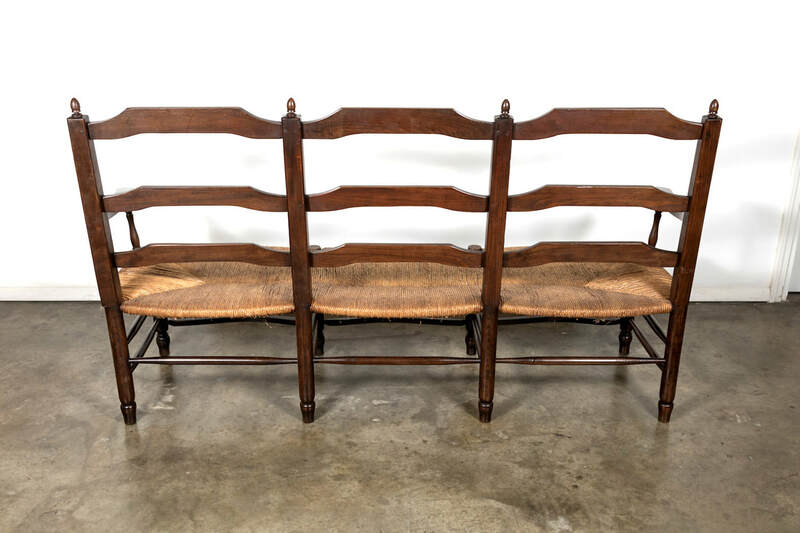 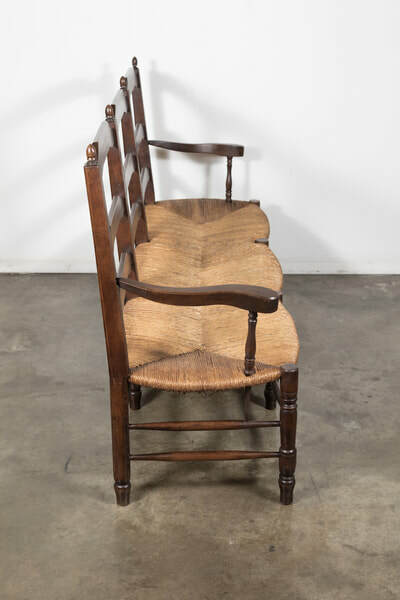 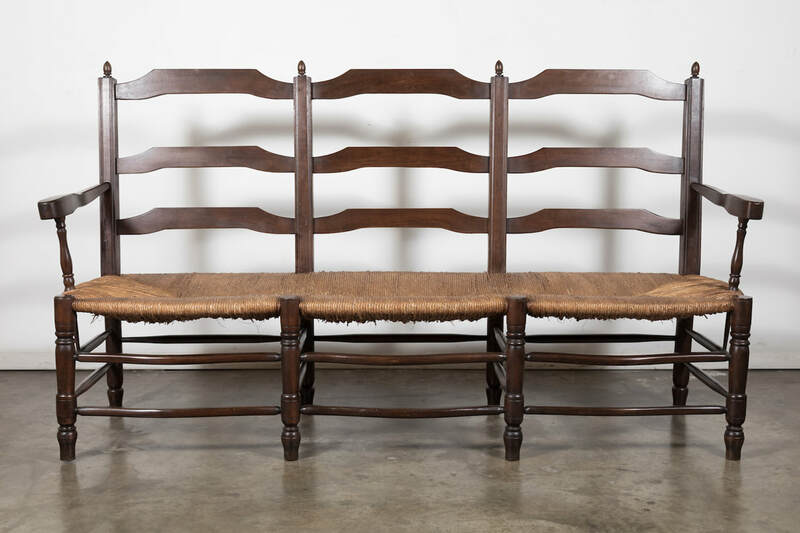 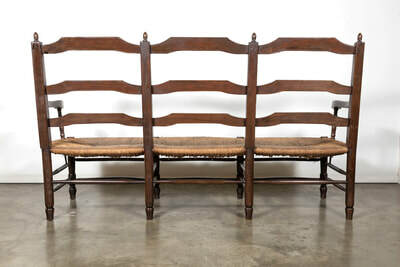 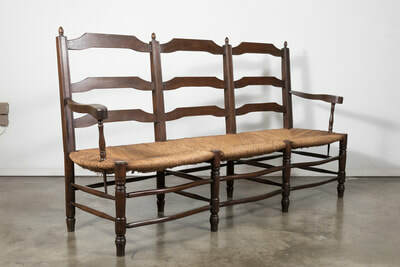 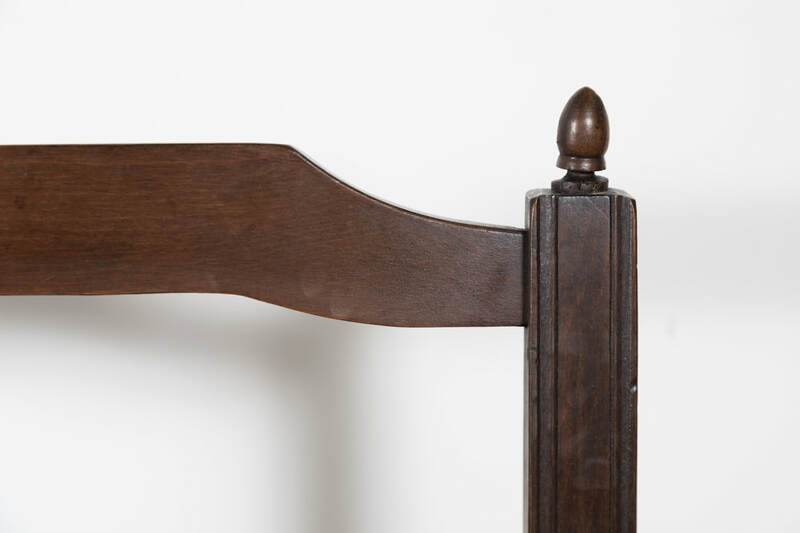 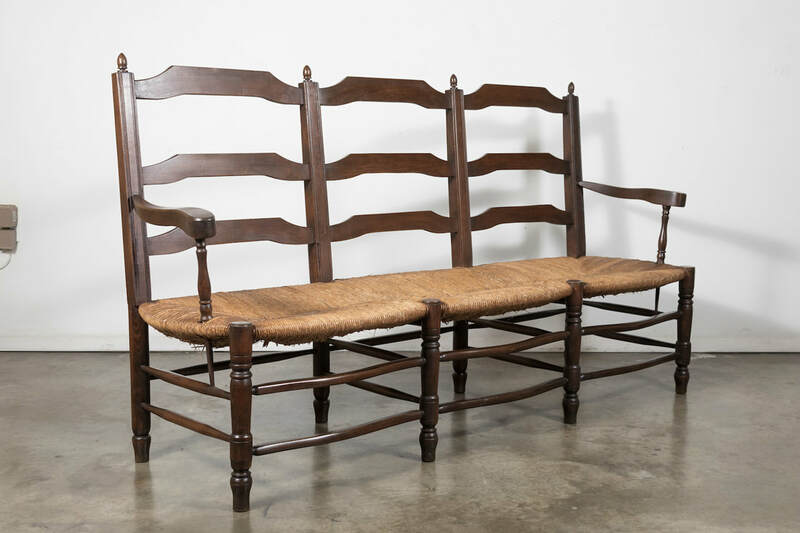 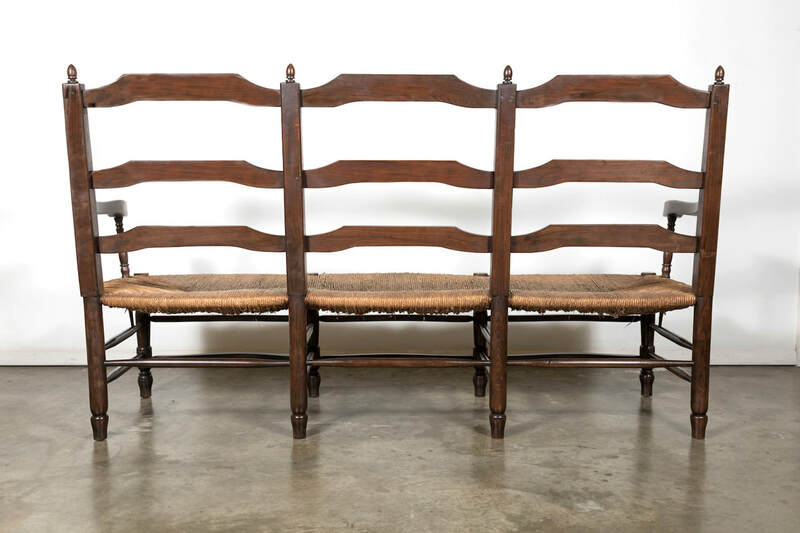 Charming French Country walnut settee or radassier, circa 1930s. 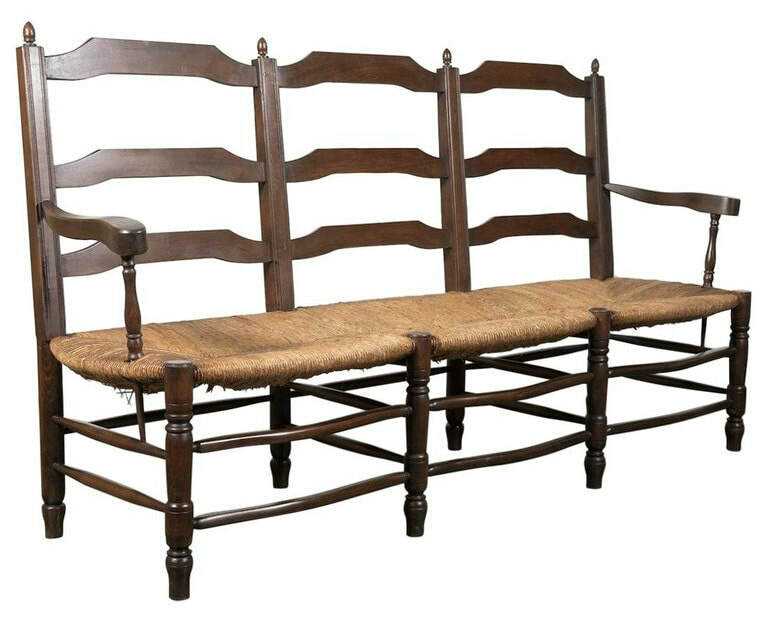 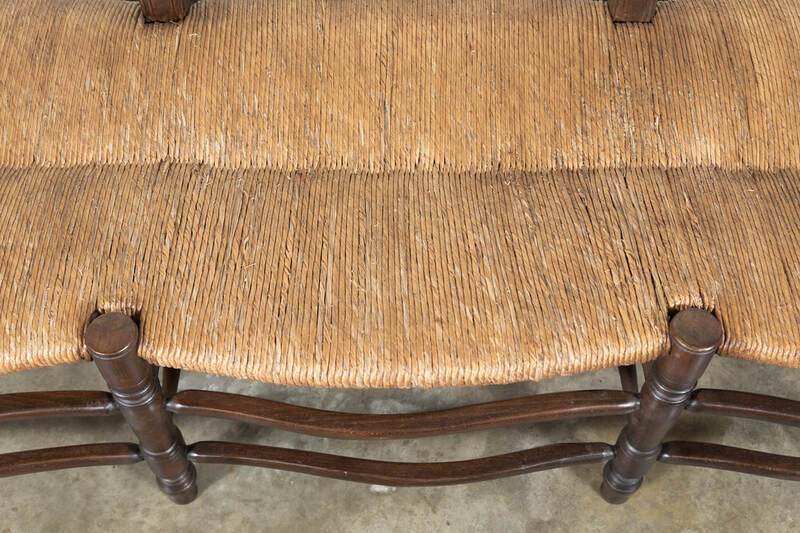 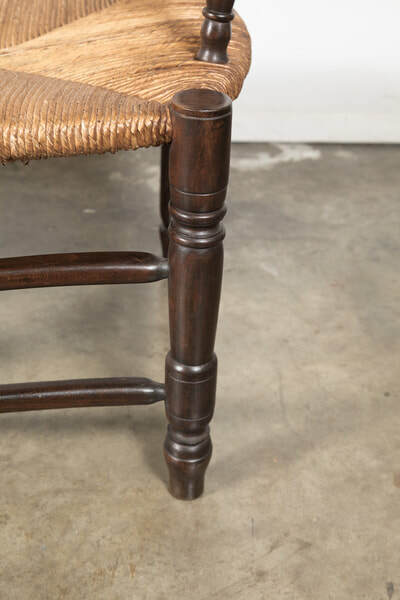 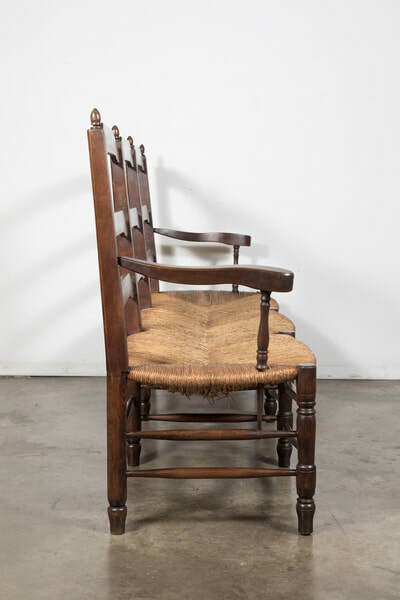 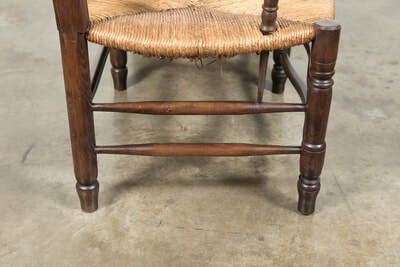 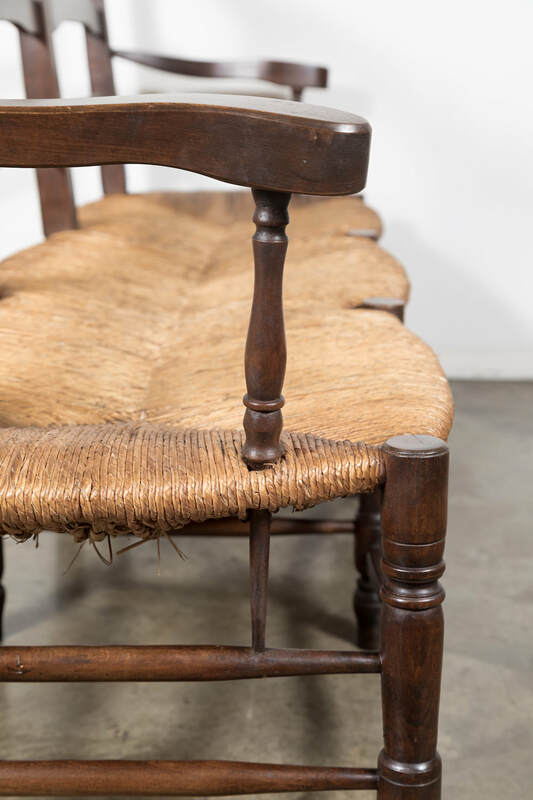 This double arm bench from Provence seats three and features a handwoven rush seat and ladder-back. 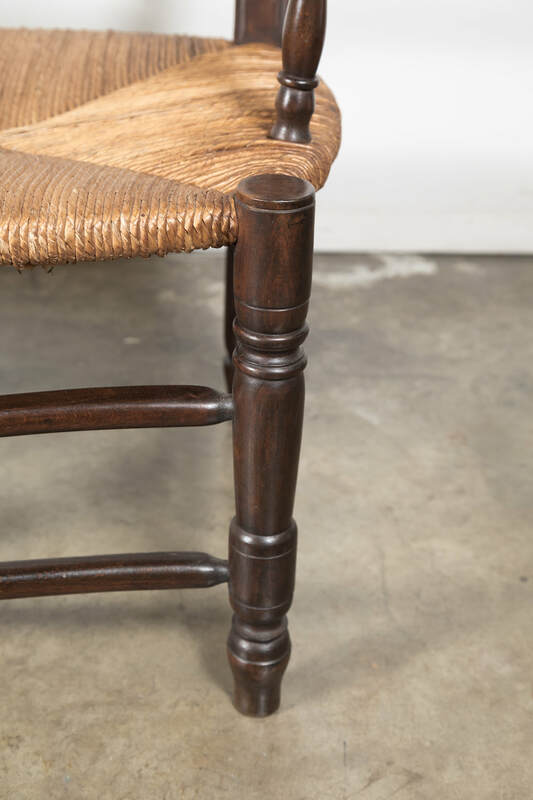 A wonderful rustic look that captures the feeling of rural France. 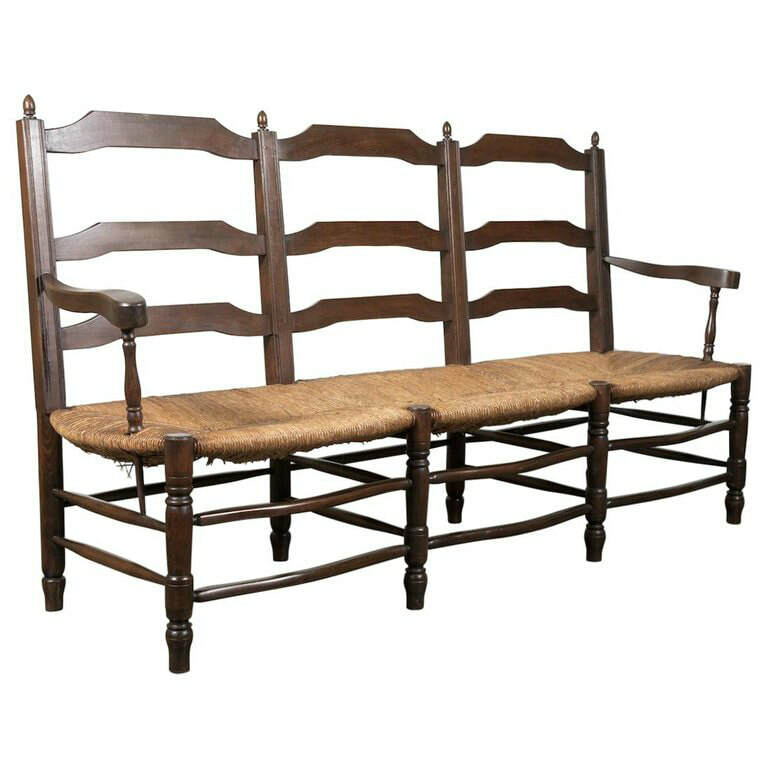 Simple yet sophisticated, this bench would be equally at home in a quaint countryside chateau or a tastefully designed modern home. back h - 40" seat h - 16.5"